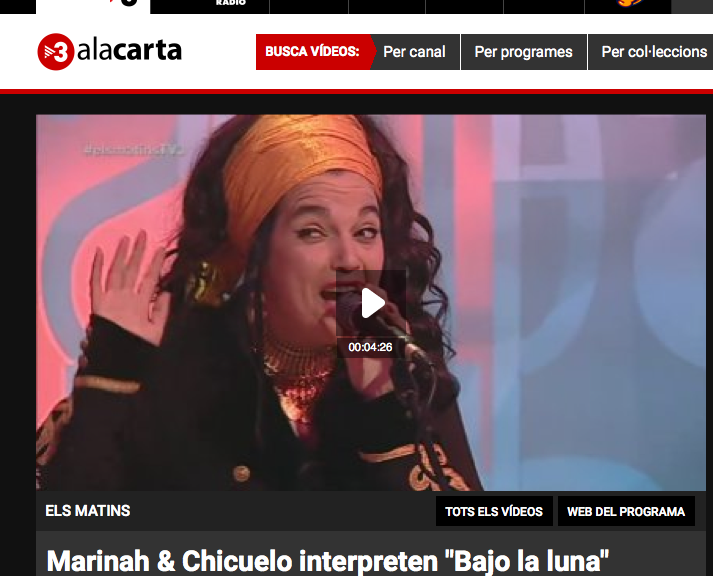 Spanish vocalist Marinah and flamenco guitar Chicuelo gather together to present a new project. The group will be at Strenes Festival in Girona and they had the opportunity to perform the song Bajo la Luna at El Matins on TV3. Click and enjoy this rumba fusionlive at Els Matins de TV.